The silver lining is that this facility, which is owned by the beer company Anheuser-Busch, announced it will no longer house captive elephants. After the heartbreaking deaths of all four elephants held captive at Grant’s Farm who all died within one year - and three within only weeks of each other - the Missouri facility has announced it will no longer maintain a captive elephant display. Bud, a 34-year-old African elephant, died in March 2018 due to a respiratory infection. Then, in December, the three remaining elephants held at Grant’s Farm suddenly passed away. Mickey, a 34-year-old female, suffered from a brain tumor, although this was not confirmed as her cause of death. Elephant Toby was 38 and Max was only 14 when they died, and the Zoo has not released the causes of their deaths. This string of tragedies highlights the troubling issue of zoos having no legal obligation to report details, such as causes of death, to the public - something that could enable facilities to perpetuate ongoing abuse against elephants. If people were made aware of the suffering that elephants endure in their final moments, and throughout their lives, it stands to reason that more people would make the compassionate decision to not pay to see them in captivity. The silver lining is that this facility, which is owned by the beer company Anheuser-Busch, announced it will no longer house captive elephants. 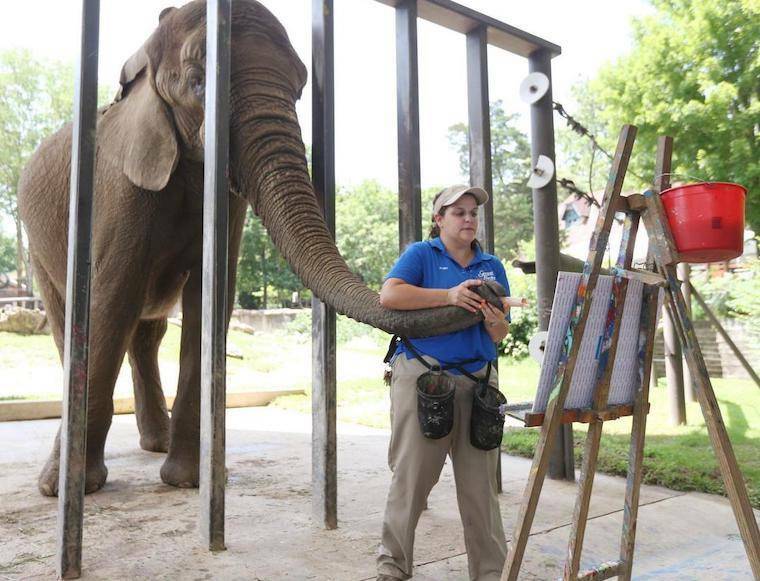 This announcement is particularly good news since Grant’s Farm forced its elephants to perform acts that are exploitative when performed for profit by wild animals, including painting, which is drastically at odds with education or conservation efforts for elephants struggling in the wild. We hope that Grant’s Farm will support elephant conservation initiatives for wild elephants and will leave them in their natural habitats where they belong.